Are You Paying More For Less? Thank you for contacting us. I’m sorry you were disappointed with your recent Frito-Lay purchase and am sending coupons to you which should arrive in about a week. 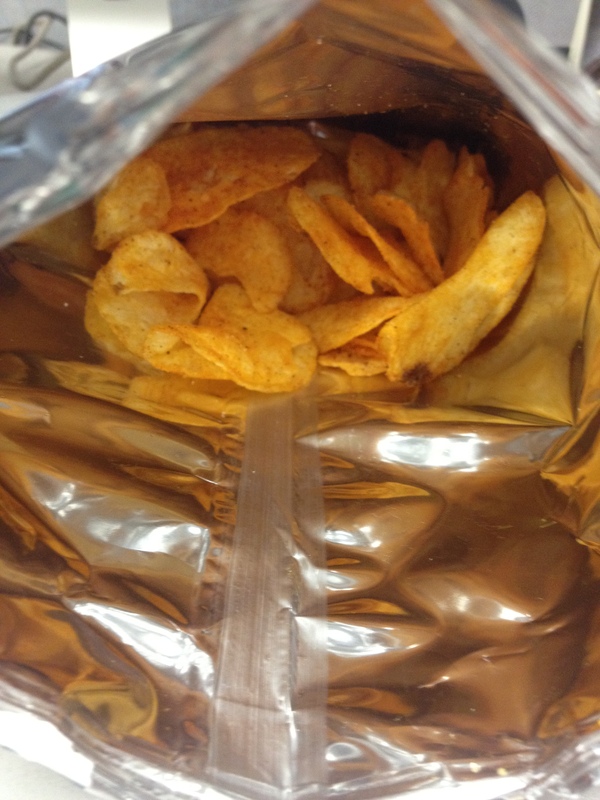 When you buy our snacks, you expect chips, not air—and rightfully so. It may be helpful to know that our packages are filled by weight, not by the number of chips. The air in the bag is used to prevent breakage that may occur during shipping and handling. During the manufacturing process, specialized equipment takes out underweight or empty packages. Unfortunately, some are missed occasionally and for that we apologize. Please be assured that your comments will be shared with everyone who plays a part in developing our products and packaging. Thanks to consumers like you and the information you provide, we are better able to investigate problems and take corrective actions needed to prevent a recurrence. My only goal here was to simply take a stand and alert the corporation for quality control purposes going forward, Perhaps the machine malfunctioned or I just got the short end of the stick by human error. However, the quickest way to lose faithful, loyal, paying clients is to increase prices, while decreasing the quantity of the product. Are you paying more for less? Yep. But it’s hardly worthwhile to complain. Seems we complain to their computers, and their computers get back to our computers, so nothing gets resolved. Agreed! The response I received appeared to be a computer generated email. One of the cons of technological advancements. You did the right thing. More people should voice their dis-satisfaction about service of any and all products. We are paying more for less. The next time you are at the store look at the smaller packages. The amount now being charged is more. We need to be aware of our purchasing power. Thanks for replying, I do agree that we are seeing more businesses decreasing the quantity size of their products while increasing their prices. Loyal consumers of these products see the differences, and ultimately its our right to question, “what’s going on” when changes such as these occur.